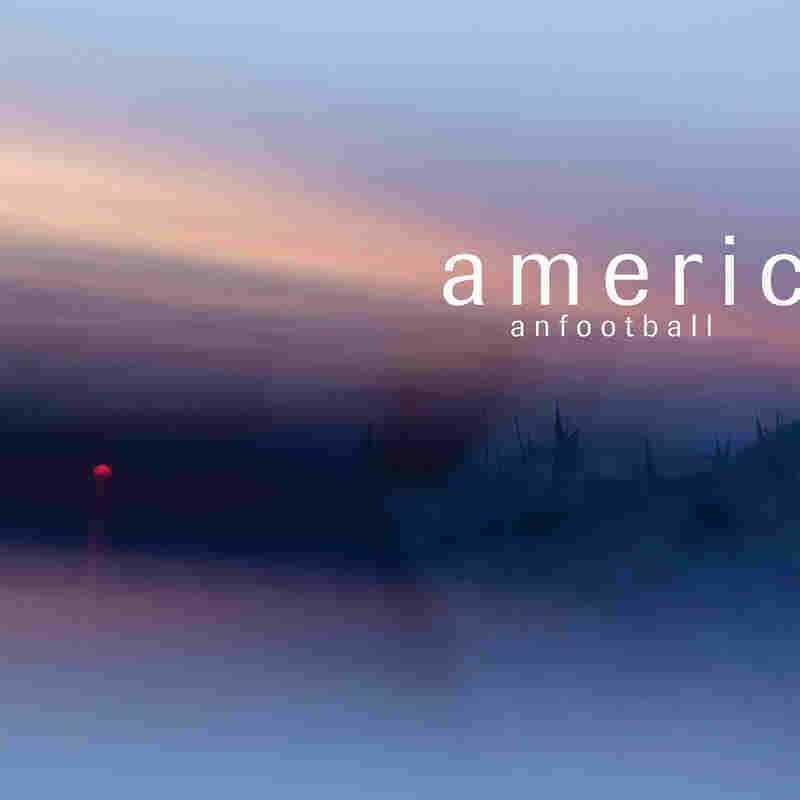 American Football's Third LP Expands On Its Storied Legacy With Newfound Wisdom The seminal emo band's latest builds the band's legacy as meticulously as the layered instrumental parts that constitute the album's songcraft. 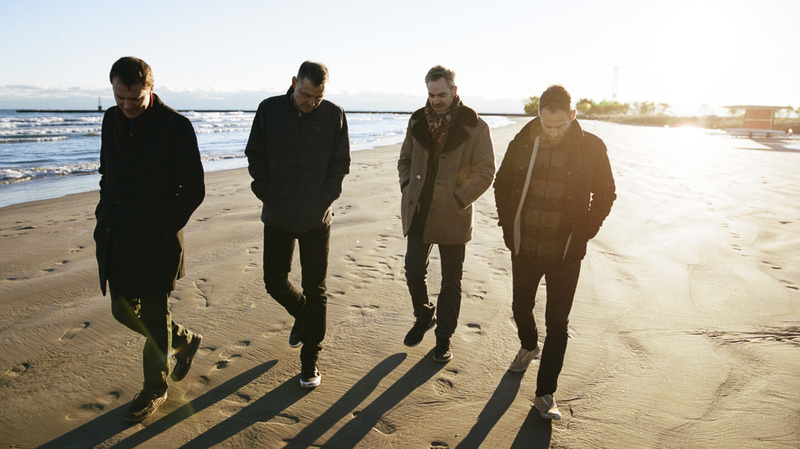 American Football's third self-titled LP is due out March 22 on Polyvinyl. Time has always seemed to work in American Football's favor. The band's 1999 self-titled debut plays like a love letter to the summer's end, soaked in the sticky complexity of teenage emotion. With songs like "I'll See You When We're Both Not So Emotional" and the now-iconic "Never Meant," the timing of the album's September release made it the perfect antidote to a long, humid months of anticipating goodbyes. While the band garnered success on college radio, the least anticipated farewell was that of the band itself, which disbanded shortly after the album's release. Gradually, over what would become a 14-year hiatus, American Football became icons of the late '90s midwest emo movement, a symbol for other bands to draw inspiration from, both in celebrating and mourning the band's then-short-lived career. The band's heavily ornamented math-rock style influenced emo music through the 2010s, and the debut album has been cited as one of the best emo albums of all time by NME and Rolling Stone. Then, in 2016, the band returned in an almost mythical fashion, with a long-dreamed-of, also self-titled sophomore follow-up, built to fill its own shoes and the deep, indelible footprint it left on the bands that followed. "Would you even know me if time hadn't stole me?" lead singer Mike Kinsella asks on the second album's opening track, "Where Are We Now?" The band's new — third, and again self-titled — album further explores that question. Released less than three years after that long-awaited follow-up, American Football's third directly addresses this fear of time's insuperable passage. It begins with the ringing of a single bell, clear chimes filling the empty air, as if to call your attention to an opening or an arrival — the church doors are open, the family dog has finally come home. The bell mimics the steady ticking of a clock; but after twelve steady tolls, a second bell joins in, their complementary tones ping-ponging off of one another as more and more bells join the calculated frenzy. A deep bass begins to swell, then a bright burst of guitars swallow it all, as if time has slipped from its steady pulse into a sense of eerie calm. More so than on previous albums, which could feel like stolen glimpses of someone's journal, LP3 is openly padded with hard-to-swallow personal reflections, such as explorations of intergenerational trauma, and karma. "Uncomfortably Numb" acts as a careful rumination of marriage and parenthood. Where Kinsella sings of parental shortcomings ("I blamed my father in my youth / Now as a father / I blame the booze," and "I used to struggle in my youth / Now I'm used to struggling / For two"), Paramore's Hayley Williams weaves an almost whispered response, perhaps from a partner, possibly from one's own inner monologue: "Now whenever I try to be clear with you / I only end up feeling see through ... / Comatose, / like father like son." Every instrument seems to hug lead singer Mike Kinsella's voice, molding around every soft bend and sudden lilt. On "Heir Apparent," there is the familiar mixture of intricate instrumental parts, from several carefully finger-picked guitars to a steady, uptempo snare to an angelic collection of cascading piano licks. They weave together like a braid, around strands of introspective lyrics, as Kinsella sings, almost plainly: "I'm unapologetically sorry for everything." The song ends with an eerily peaceful cameo from the Omaha Children's Choir, fading out on the lines: "Heir apparent to the throne / The King of All Alone." Despite its many moving parts, the six-minute song does not feel overwrought. You do not drown in the sea of entangled instruments; instead, you float calmly at the surface, allowing the gentle, heavy tide to guide you away from the shore.